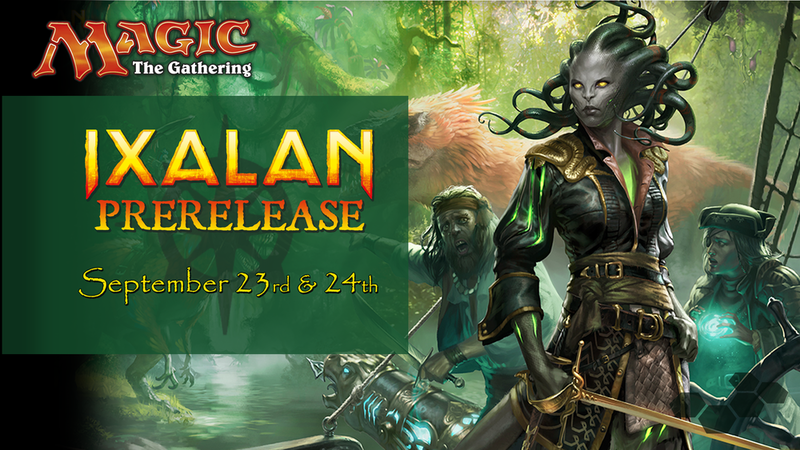 Join us for our evening prerelease of Ixalan and get your hands on the newest Magic set a full week early! Entry is $30 and puts you into our tournament, where you'll face off against opponents of the same rank and fight for a chance at extra packs! Do you have what it takes?